Whether it’s parking, renting a car, or finding a ride-share, air travel begins and ends with ground transportation. So how can parking design mitigate stress and create a smoother, more enjoyable experience? Functional design such as reducing congestion to creating a streamlined car rental process or revamping parking layouts to accommodate for ride-sharing pick up and drop off can have a significant effect on the passenger experience by making it easier for travelers to get where they need to be. Technology that allows users to reserve parking spaces in advance facilitates faster entry and exit and takes the stress out of finding a space by pointing users directly there, not only make parking more sustainable by reducing emissions, but also creating a smoother, more efficient experience. 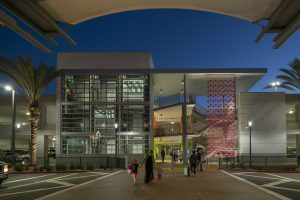 In addition to convenience, elements such as public art, pedestrian gateways, and scenic views provide a means for travelers to relax, take a deep breath, and get to know the places they’re visiting. Want to learn more? 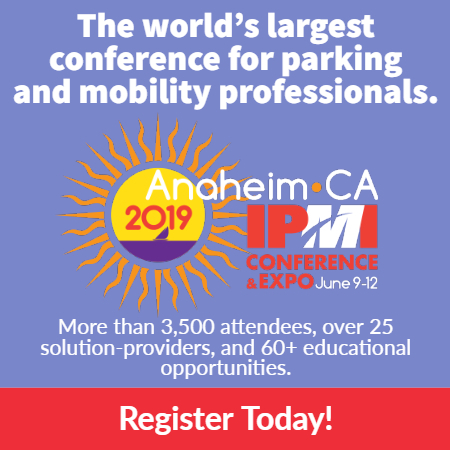 At this year’s IPMI Conference & Expo, we will be part of an exciting panel featuring Bob Bolton, director of airport design and construction, San Diego International; and Bob Lockhart, deputy director of operations, Mineta San Jose International. Discover how they have used customer-first airport parking to enhance and extend the passenger experience. Michelle Wendler is principal and Michael Pendergrass is associate principal with Watry Design, Inc. They will present on this topic at the 2019 IPMI Conference & Expo, June 9-12 in Anaheim, Calif. For more information and to register, click here.